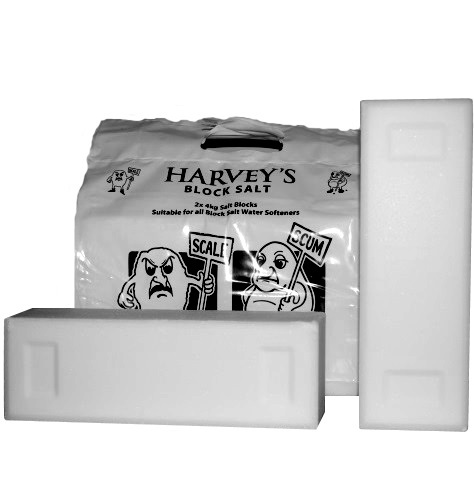 We are suppliers of Harvey's block salt to the Thames Valley area. We supply twin-block packs, which are suitable for all types of block salt water softeners: TwinTec, Harvey, Kinetico etc. 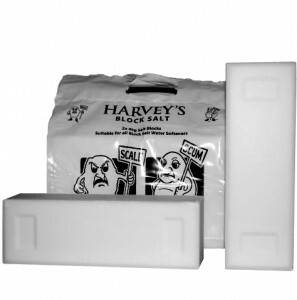 We deliver block salt at £5 per pack plus a modest delivery charge, dependent on the size of the order. You can place an order for a block salt delivery via our online shop (prices include delivery) or by calling 0118 9344485. You don't need to pay in advance: we will collect payment on delivery and leave an invoice with our payment details in case you should be out at the time of delivery. We aim to deliver within 7 days but usually do so sooner. Alternatively, you can pick-up and purchase block salt directly for £5 per pack from our location in Hurst, near Twyford, between 8.30am and 7pm. You don't need to order or pay in advance: you simply pay when you come and pick it up. Please note that we generally accept only cash and cheques (payable to blocksaltman). We usually stock some 25kg bags of tablet (pebble) salt for £9 per bag (pick-up only) - but our tablet stocks can vary so please call 0118 9344485 to confirm availability. If you have any questions then please call or email blocksaltman at the address in the footer below. We deliver within approximately a 25 mile radius of Twyford including, but not limited to, the areas below. If in doubt please give us a call. Twyford - Reading - Slough - Maidenhead - Marlow - Langley - Windsor - Henley - Wokingham - Bracknell - Shinfield - Winnersh - Ascot - Sunningdale - Camberley - Fleet - and surrounding areas. blocksaltman is a trading style of Thames Valley Water Softeners Ltd. - Registered in England and Wales - Company Number 09355401 - Registered Address: Bush Cottage, Tape Lane, RG10 0DP. © 2015 Thames Valley Water Softeners Ltd. All rights reserved - Wordpress Theme by Kadence Themes.